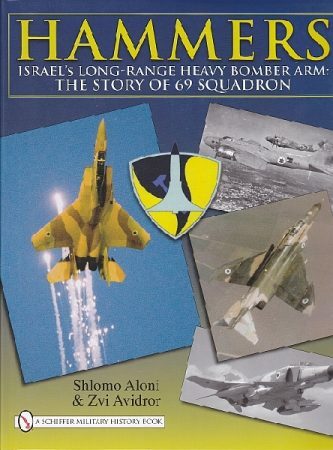 From the B-17 Flying Fortress and PBY Catalina, via the F-4 Phantom to the F-15I Thunder, Israeli Air Force 69 Squadron, the Hammers, have always been the long-range, heavy bombing element of Israeli air power. 69 Sqdn. fought in six wars and flew thousands of missions. The first Hammers mission was the bombardment of Cairo in July 1948. The final B-17 missions were flown during the 1956 Suez War, the last of the Flying Fortresses to bomb operationally anywhere. From 1969, the Hammers flew the legendary F-4 through participation in the War of Attrition, the Yom Kippur War and the Lebanon War. Flying the F-15I since 1998, the Hammers story of operations, aircraft and persons is the essence of this book that unveils, for the first time ever, the full story of Israeli B-17 operations, the complete story of how the Israeli Phantoms defeated the Syrian SAM network in Lebanon, the thundering introduction of the F-15I into Israeli service, and much more.